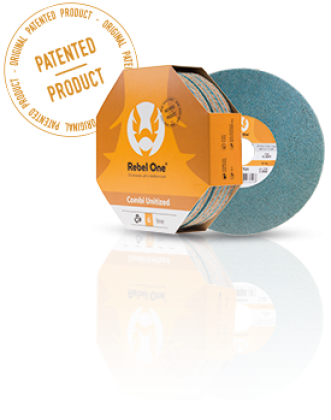 Rebel One Combi unitized, the best way to finish an inside corner! Quick, easy, and risk-free removal of a weld seam in an inside corner and finishing to perfection. Who would not want that in times when the requirements for a better finish are constantly increasing? The existing unitized range already paved the way thanks to its increased control. But now there is Combi unitized: one-step finishing at its best!